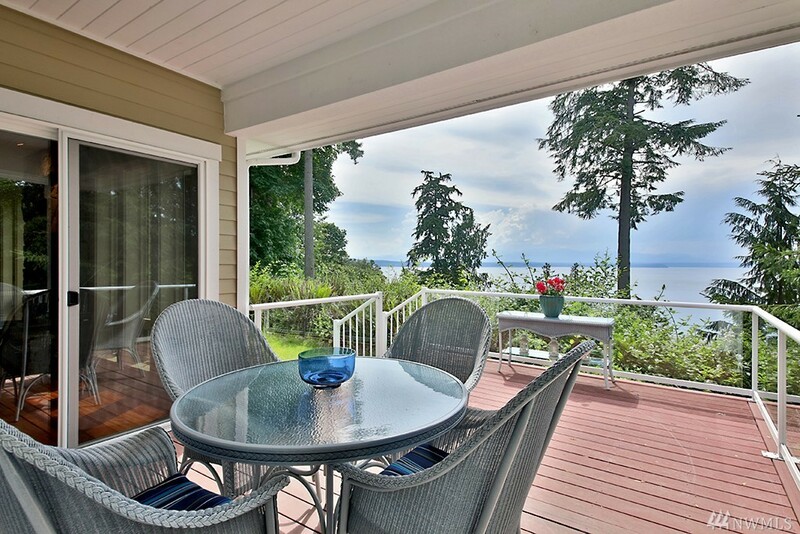 Imagine relaxing on your deck, enjoying westside sunsets over the sound and Olympic Mountains. This stunning home, lovingly built on the top of a hill, along with the surrounding forested acreage, gives you plenty of privacy. Features include beautiful cherry wood floors, a warm stone fireplace, wide halls, large master bedroom, walk-in shower, high ceilings and trex decks. The kitchen features gorgeous granite and stunning cabinetry that will delight any chef. Imagine!